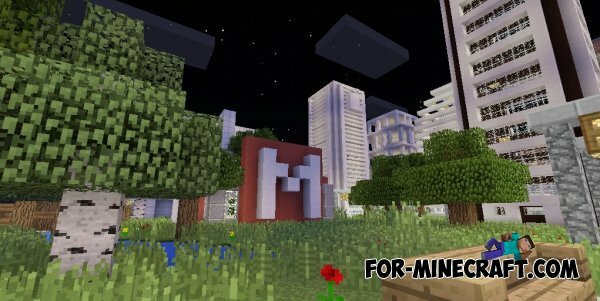 Blocks Angeles map for Minecraft PE - a map with a huge city with modern buildings to Minecraft Pocket Edition. This city is very similar to Los Angeles, and on it a lot of magnificent buildings. 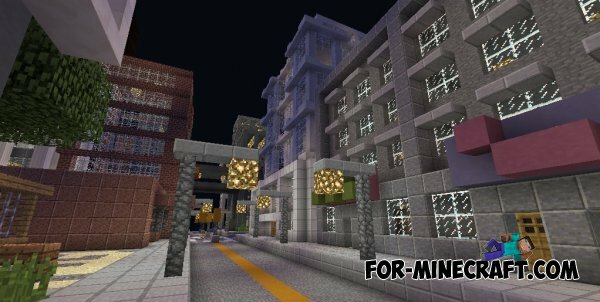 City really is very large and that it fully explore you will take a very long time. When you examine the whole city you will not regret the time spent on the study of all its attractions.